Beast Coast rapper Joey Bada$$ finally dropped his debut album, B4.Da.$$, earlier this year, but he hasn't stopped grinding out new material. 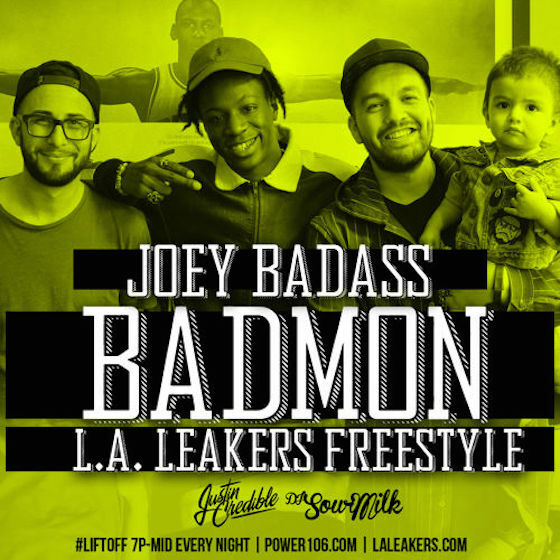 The latest Joey track is a freestyle called "Badmon." While visiting the L.A. Leakers, Joey spits two minutes of impressive wordplay atop another golden-era hip-hop beat. And it's to the Leakers' credit that they don't absolutely ruin the track with DJ drops, keeping the self-promo fairly tasteful at the beginning and end of the song. Listen to Joey Bada$$ freestyle on "Badmon" below.